With ‘Drive’ playing tonight at Coolidge Corner After Midnite, we look at the crowdpleaser’s place among the director’s more divisive work. Drive is playing at Coolidge Corner Theatre After Midnite tonight, and if you’re among the uninitiated, everything you’ve heard is true. It’s great. It’s gorgeous. It’s fun, suspenseful, and heartbreaking. The performances are excellent, full of A-listers either playing totally against type or gleefully sinking their teeth into their trademarks (all of whom were wholly absent from Oscar consideration, most notably Albert Brooks as the primary villain). It’s also a great introduction to the work of Danish director Nicolas Winding Refn, whose films more often convey a sense of impending doom. A lifetime of making such films, as you might imagine, has made him a divisive figure; just last year, there were boos and walkouts for The Neon Demon, but it still ended up on more than a few Top 10 lists. Before that, Only God Forgives confounded and frustrated those looking for a Ryan Gosling MMA flick but instead found an abstract, anger-filled love letter to Alejandro Jodorowsky. As reactions to his work become more polarized, some are asking why he can’t return to the style of crowdpleaser Drive. It’s true that there is a lot about Drive that sets it apart from Refn’s other English-language films, after having found early success with Danish crime dramas Bleeder and the Pusher trilogy. Its pretty visuals are not part of a backdoor commentary on the ugliness of the human soul, as in The Neon Demon and Only God Forgives. There are no mysteries to anyone’s motivation, there are no riddles to solve. Though violent, it is not fundamentally pessimistic or misanthropic; the violence is brutal but it is not photographed admiringly or voyeuristically. It’s straightforward where his films tend to be more layered, literal-minded where the others are instinctive. 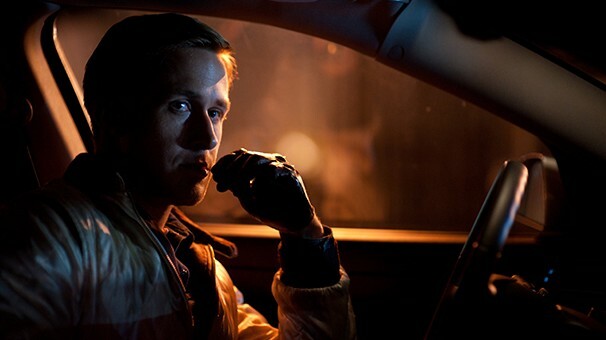 That said, Drive does have quite a bit in common with Refn’s other work. First and foremost is style, which is always the star of anything he does — the light might be either impenetrably black or blindingly neon. Imagine for a moment Refn making any other kind of film without his signature techniques. Now imagine any director attempting a Refn film. Neither scenario works. The director has said that his style was formed out of necessity due to his colorblindness, but the lack of visual middle ground in his films also reflects a stark moral worldview that is always fascinating to witness. The hero of Drive — credited only as Driver — is a mechanic, movie stunt double/driver, who moonlights as a getaway car driver. He maintains a strict five-minute window for his clients. That’s it, no questions asked, no favors given. All of his commitments require complete personal disengagement and firm boundaries: a stunt double needs to be unrecognized so the movie star can take the credit, and a getaway car driver needs to focus on reaching safety, not the crime or criminal who got them there. Driver’s high-octane yet predictable world turns upside-down when he forms a relationship with his neighbor, Irene (Carey Mulligan). Her husband, Standard (Oscar Isaac), is in prison, and their son takes to Driver for a father figure. Standard is released and is doubtful of the purity of their friendship, yet it falls on Driver to assist in a poorly arranged robbery to clear his pre-incarceration debt. Driver is forced to bend his firm time limit, and when the robbery ends in Standard’s death, the same mobsters Driver used to collaborate with come after him for the money, and in doing so threaten the lives of Irene, her son, and Driver’s boss Shannon (Bryan Cranston). Every moment of safety or sanctuary in Drive is used to make the suspense that much more palpable. We remember the serenity when Driver and Irene just sat, looked at one another, and breathed. We feel for Shannon, who is well-liked and just wants to do the right thing by everybody, but is a sensitive soul who is involved with people who tend to use brute force and persuasion to get their way. Anyone who attempts to exist in the middle is ultimately doomed, and the film becomes a struggle to survive between two extremes that cannot coexist. This isn’t fundamentally different than Refn’s other work. The Neon Demon also pits opposites against one another, punishing those who live in the gray area. The inside and outside of the human body — literal and figurative — are at odds in the world of modeling, an entire industry based on using people for their ability to create illusions. Only God Forgives, perhaps his least pleasant work, features Vithaya Pansringarm as Lt. Chang, an almost supernatural figure who spends as much time executing the unworthy with his sword as he does singing karaoke ballads to a room of attentive, unresponsive men. He is an agent of order, dispatching those who cause chaos. Viking drama Valhalla Rising pits the high-minded concepts of Christianity against nature in an uncompromising land. 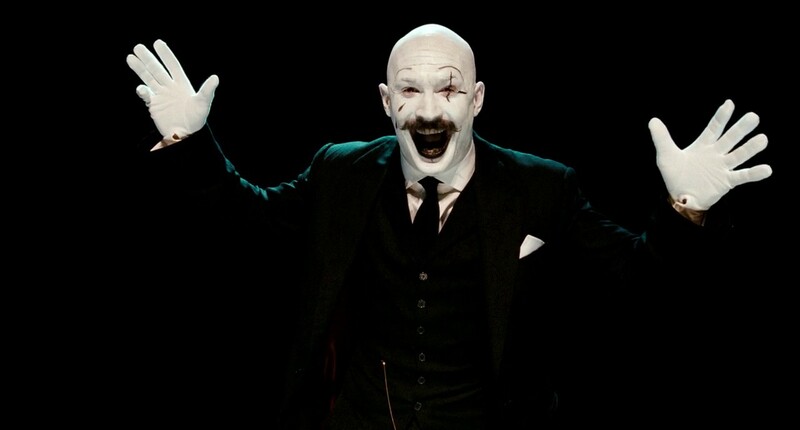 And Bronson, which screened Friday night, flamboyantly erases the line between art and violence, between being shunned by society as a prisoner and vaunted as a celebrity. Directors do occasionally stumble on a particular application of stylistic moves they would have done anyway that resonate more with audiences. Those who dislike Quentin Tarantino’s abundant and meticulously written dialogue were no doubt gripped by its use as an interrogation method in Inglourious Basterds. The conflicts of Drive might play out like a love story anyone can relate to, even if they have no links to organized crime. But it still fits comfortably in Refn’s world of high contrast morality, and can be taken either on its own terms or as a gateway to his bleaker work. Drive plays at Coolidge Corner Theatre in Brookline on Saturday, 5/20 at midnight. For tickets and more information, click here.